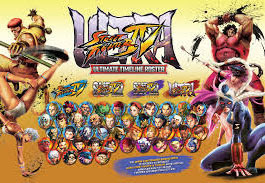 This one-on-one battle game offers about 40 characters of fighters that players can choose from. Each of the characters on Ultra Street Fighter IV has their own unique fighting abilities including their weaknesses. In this game there is addition of 5 new characters that can be played, 6 new stages, as well as some improvements to the gameplay. Overall. 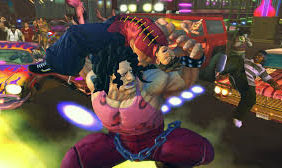 Of the 40 characters there are new characters added namely Rolento, Hugo, Poison, Elena and Decapre. These characters have their own advantages, such as the agile new character Decapre and also fast when fighting. Meanwhile, Hugo is not very fast but has a super strong power that is suitable for wrestling. 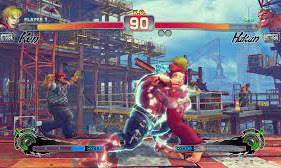 There are many features added to this game, such as the Ultra Combo Double feature so players can enter the Ultra Combo fighting style into their battle. Then there is also a Red Focus feature where players can activate an armor that is used to absorb each opponent's attack. Unfortunately to activate the feature, you are forced to lose a little level of Super Gauge characters are played. Super Gauge can be used to launch a special attack with a better Combo. In addition, Red Focus can also be used to perform new attack tactics to existing opponents with extra power.